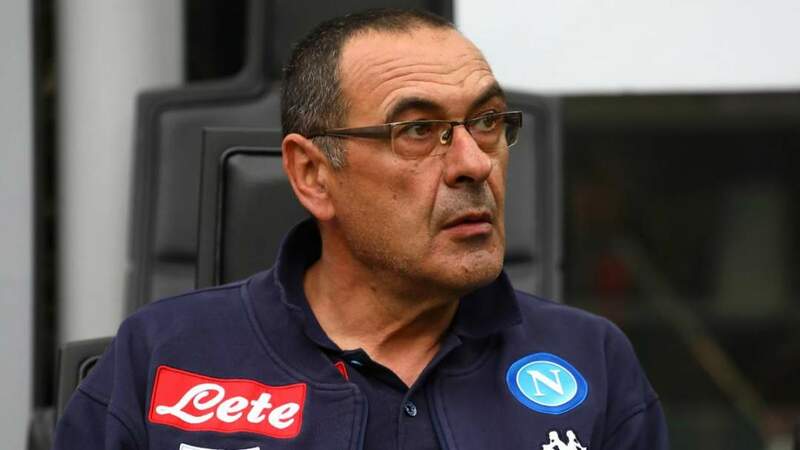 Chelsea boss Maurizio Sarri, has blamed the referee for Tuesday's 1-0 loss to Tottenham in the Carabao Cup. The Italian slammed the use of the Video Assistant Referee in the first leg of their semi-final tie against Mauricio Pochettino side. He said that he does not think English referees are able to properly use the system. Harry Kane was awarded a penalty kick which ended up as a 1-0 victory for Tottenham. Kane was tripped up by Chelsea goalkeeper, Kepa Arrizabalaga in the first half of the clash at Wembley Stadium, prompting referees to review the sequence. There were questions over whether the England forward was offside on the play but, after seeing the video, the referees awarded a penalty. Sarri was able to re-watch the play after the match and noted that the officials failed to spot Kane who was on offside position. "A few minutes ago I watched the video from our camera. It was offside. Our camera was in line with Harry Kane," Sarri told Sky Sports. "I don't think English referees are able to use the system. "If you are not sure with the system, you have to follow the ball and at the end of the action decide. But he stopped it and didn't follow the ball - for our defenders it was offside. I don't know about the goalkeeper but sure the defenders. "I think they have to study the system. "It's very strange in the Premier League there isn't VAR and in Carabao Cup there is the system. It's very strange for us, the players and referees."